Lunch Menu at El Oceano Hotel and Restaurant. 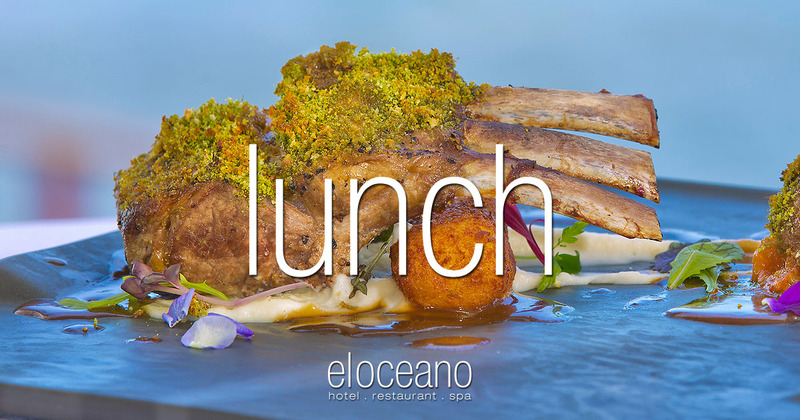 Lunch at El Oceano is second to none! The A la Carte menu is always available, plus our ‘lite-bites’ menu for those not so hungry, you can enjoy Lunch outside on the Waterfront Terrace, overlooking the sea. What better place for lunch?! A more relaxing lunch time you could not imagine. Enjoy the full a la carte menu, or choose something from the ‘lite-bites’ lunch menu. If you can take the day off, there’s no better place to enjoy lunch, followed by a martini on the terrace. As a lunchtime guest, you have full access to the terrace and pool area. You could even book one of the VIP sunbeds! A small fee guarantees an exclusive bed, personal waiter service and best of all, the feeling of absolute luxury – as we say, ‘awesome afternoons‘ at El Oceano! A wonderful place to sit and relax, right on the water’s edge. The perfect day of lunch and afternoon cocktails awaits you every day of the season. If you find yourself between La Cala de Mijas and Marbella, you’ll be hard-pushed to find anywhere better! Our exquisite A la Carte menu is available during every day, as well as evenings. If you require something special, not on the menu, always ask. Our chefs will do their best to accommodate you! If the weather’s good enough (and it mostly is! ), we are happy to offer you lunch on the sunny, outdoor terrace. A more perfect, beachfront lunch you could not imagine. Sit back, enjoy a spectacular meal and one of our specialist Martinis from the pool bar. It’s the ideal place to spend your ‘Awesome Afternoon‘. In the lap of luxury, as the waves lap against the shore!